eSign – Scalable and Robust eSign server for all your needs. eSign is one of the key element for Paperless revolution, in line with Digital India initiative by Government of India. eSign services have been developed as a new and innovative electronic signature service, which can facilitate an Aadhaar holder to digitally sign a document within seconds from anywhere and anytime. 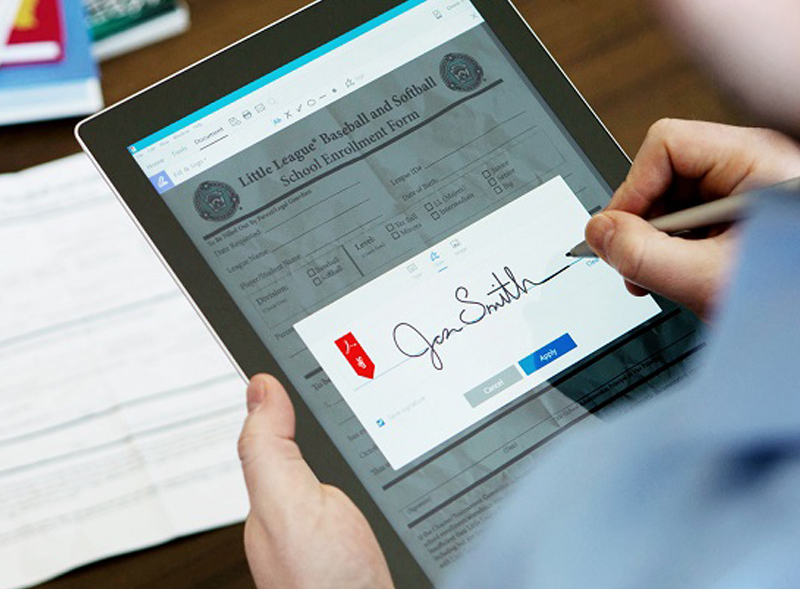 eSign is legally valid and substitutes the need for a physical or wet signature. 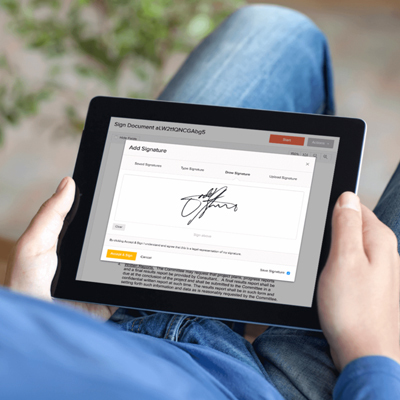 Such online Electronic Signature Service can be effectively used in scenarios where signed documents are required to be submitted to service providers – Government, Public or Private sector. Electronic signatures bridge the gap of time and geography, making once tedious tasks timely and seamless. From banking, to insurance, to the legal sector, nearly every industry employs elements of electronic signatures to streamline business processes and run more efficiently. What is the best or ideal type of electronic signature? There is no one-size-fits-all answer. It all depends on the process being automated. In-person e-signatures with a representative. FutureSoft Solutions Bags Contract from Government for eSign. Rajasthan, the most progressive state of India, came up with an initiative to set up a new process of issuing Digital certificates to its residents as a service. As an SI, FSPL chose to work with leading global and technology players as a reliable solution partner to deliver the entire setup & solution incorporating many OEM’s put together to frame our solution statement mapping to clients RFP some of our key partners are Odyssey / Nutanix / Lenovo / Oracle / Red Hat / Gemalto& SonicWALL. FSPL has been awarded this to deliver / integrate various tools as per the guidelines of the governing body and manage the setup for the period of 5 years. With this project, FSPL stands out as a proud Technology company in execution and completing project for India’s First State who has become CCA AUTHORIZED DIGITAL ISSUING AUTHORITY IN INDIA. Adaptability of eSign in Enterprise Systems. With enterprise security offered by FSPL, organizations can adopt to data-centric approach to their security posture, while they control access to the infrastructure and applications they rely upon. Not only can theycreate trust and authenticity in their transactions, but also they can ensure that their sensitive data is protected and controlled — both on-premises, and in public and private clouds. We encourage customers to use Identity and access management products, which comes with strong authentication feature enabled especially for enterprises. Identity-as-a-Service – This is a cloud-based service, which combines the convenience of cloud single sign-on with granular access security. By validating identities, enforcing access policies and applying cloud SSO, organizations can ensure secure, convenient access to numerous cloud applications from one easy-to-navigate console. Authentication-as-a-Service – This service enables organizations to easily apply multi-factor authentication to get feel of secured access to any application, from any device, anywhere. Bluetooth Authentication – Bluetooth Smart technology enables connectivity with PKI security integrating desktops and mobile devices, anytime, anywhere. OTP Authenticators – Generate dynamic one-time passwords (OTPs) for authenticating users to critical applications wherever they reside, from any device. Pattern-Based Authentication – This service allows end-users to generate a one-time password by entering numbers that correspond to a pre-defined pattern on the screen. PKI Smart Cards – Strong, yet simple smart cards offer strong multi-factor authentication in a traditional credit card form factor and enable organizations to address PKI security needs ranging from remote access, network access, password management, secure transactions to name a few. Smart Card Readers – Smart card readers offer the perfect balance of ease of use and solid security for communication between smart cards and network services.